I've been studying Papiamento for about 6 months or so... and I still have quite a ways to go. ...and I'm realizing that this papiamentu to english converter is wrong A BUNCH!!! Good thing it is free... because you're getting what you pay for when you use it. So whose pushi bunita are you thinking about complimenting, Carpe? 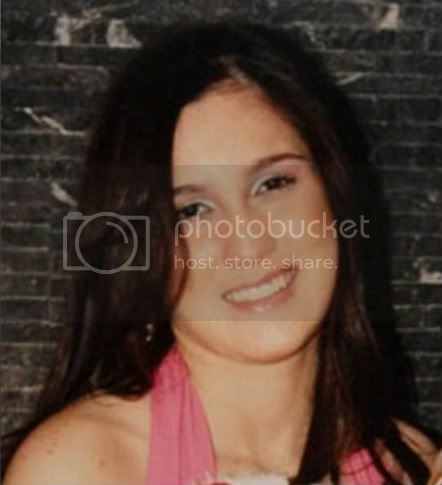 Tuesday, 04 January 2011 8:41 p.m.
ORANGE CITY - The investigation into the murder of TV personality Poentje Castro is a Team Large scale (TGO) deployed. It is the first time that this happens in Aruba. TGO is a reason, says the Public Prosecutor (OM) that the case has no clear or unambiguous clues to identify suspects. The Public Prosecution and the Police Force Aruba (KPA) would announce this past Friday during a news conference, said spokeswoman Angela Ann OM. The press conference was canceled, however, after some media chief Dolfi Richardson was told that, if not in substance would be changed to the study, they had no interest to the press conference at the Justice building Macuarima to attend. During the first press conference on the day that Castro had been killed by the police and the public indicated that there is no substance of the matter would be discussed until the investigation is ongoing. Questions from the press were also not answered. However, it was clear that a special team of detectives to the case is put. That this has now been expanded to a TGO has, so let Angela out on behalf of Chief Jack Zondervan, due to the nature of the case. "It is not clear where the assassination of Castro Poentje is all about. There are no clear indications and no person that is a clear suspicion. " A TGO means that the police, prosecution and the Criminal Investigation Team (RST) work on the basis of an established organizational model, when a very serious crime occurs (such as a murder or a kidnapping), with no clear who the perpetrator is. "This is such a case," says Angela. "The fact that a famous person was killed, also plays into it." The roles and responsibilities of the police and the public in a TGO thoroughly checked. The idea stems from the so-called Schiedam Park murder "in 2000, an innocent man convicted. Following that case, justice include the TGO was created to improve the detection. Early last month was the possible use of a TGO discussed at the conference Detection Renaissance Convention Center in 2010, where OM, RST and KPA were present. John Anthony 'Poentje' Castro (47) was on Dec. 23 death and with two bullet wounds in his garden found. Investigative journalist and presenter of the popular TV program "Un Dia Den Bida" was held last Thursday buried under much public attention. Since his death, the necessary speculation about a possible motive, but the police and the OM have no substantive ruling on the investigation. As yet there is no one arrested. My avatar. Could you please remove the pointsetta and ... the Christmas tree. Just me, Ducky and the star will suffice. Thank you. You are appreciated. Leaving it here for Klaas, Janet! I'll PM her, too! BOSTON--(BUSINESS WIRE)--Aruba Tourism Authority has signed on as the supporting sponsor for the Boston Globe Travel Show for the sixth consecutive year. SeaWorld Parks & Entertainment and Vacation Outlet are lead sponsors, and Bermuda Tourism and TNT Vacations are contributing sponsors of the 2011 show, which takes place February 11-13 at the Seaport World Trade Center in Boston. The 2011 Boston Globe Travel Show will feature a variety of pavilions showcasing travel destinations from around the world, cruise specials, adventure travel, vacation rentals, vacation planning and packages, and much more. The show also will include cultural seminars, music and dance presentations, cooking demonstrations, express passport services and an array of activities for the entire family. For the second straight year, the travel show will feature “The Engagement Game” where one lucky couple will win an all-expense paid honeymoon. Show attendees will learn about new and exciting travel opportunities ranging from budget vacations to luxury escapes, vacation rentals and much more. Those interested in booking a vacation will find great deals onsite. The three-day event features more than 250 travel exhibitors and suppliers, representing every segment of the travel industry and offering detailed information on trips to every region of the world. Gold and Silver sponsors include Omni Mount Washington Resort, The Bethel Inn Resort, Cruise Travel Outlet, Essex Resort & Spa, Greater Portsmouth Chamber of Commerce and Poland Spring Resort. Each sponsor will have exhibit space on the show floor to showcase its destination. In addition, many of the sponsors will offer cultural presentations featuring the music, arts or food of their regions. A full list of sponsor activities will be available online closer to the show opening. The 2011 Boston Globe Travel Show will be open to the public from 5:30-8 p.m. on Friday, February 11; from 10 a.m. - 6 p.m. on Saturday, February 12; and from 10 a.m. - 4 p.m. on Sunday, February 13. Travel trade professionals are welcome throughout the weekend, with an exclusive trade-only viewing time from 3:30-5:30 p.m. Friday, February 13. For more information about exhibiting at the 2011 Boston Globe Travel Show, visit www.bostonglobetravelshow.com or contact Liesl Robinson at 888/210-8895. To learn more about sponsorship opportunities, contact Ted Petersen at 617/929-7080. The Boston Globe is wholly owned by The New York Times Company (NYSE: NYT) , a leading media company with 2009 revenues of $2.4 billion, which includes The New York Times, the International Herald Tribune, The Boston Globe, 15 other daily newspapers and more than 50 Web sites, including NYTimes.com, Boston.com and About.com. The Company’s core purpose is to enhance society by creating, collecting and distributing high-quality news, information and entertainment. In the year ending, the world is torn between hope and tragedy, among the revelations and violence. A review of these events. Murderer of women. 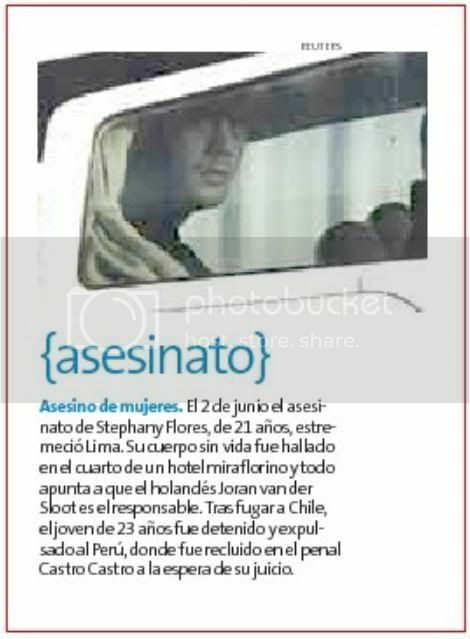 On 2 June, the murder of Stephanie Flores , 21, shook Lima. His body was found in a hotel room and it looks miraflorino the Dutchman Joran van der Sloot is responsible. After leak to Chile, the 23-year-old was arrested and deported to Peru, where he was held in the Castro Castro prison pending his trial . This is one of my favorite photos of Joran. He doesn't looks so cocky in this one. It's been said the eyes are the window to the soul, and in this photo, he has dead, flat eyes. BTW Has anyone else noticed how much Joran favors Paulus in this photo, particularly the nose/mouth area? Then, look at the photos of Natalee and Stephany posted by texasmom. http://scaredmonkeys.net/index.php?topic=9031.msg1285200#msg1285200 Look at their eyes and see warmth and light. Carpe your too damn funny. LMAO I remember collecting those cards as a kid, but never dreamed of those names being on there haha. Thanks Carpe, Love it. A keeper for sure. diaranzon morning owing to enter informe of cu have one damita throw on acera near of kowloon in emmastraat, at once owing to dirigi ambulance at the sitio. at arrival of ambulance they're come encontra cu one damita cu is for of conocimiento y was saca, apparently ela drink clorox. at once they owing to place on the cama of ambulance y hibe cu urgencia for hospital. we will follow informa. "Alas, Poor Yorick ... or Is It Othello?" Can you tell a person's race from his or her skull? Can your jawbone identify your race? Law enforcement officials are trying to ascertain the owner of a jawbone that washed up on a beach in Aruba last November. 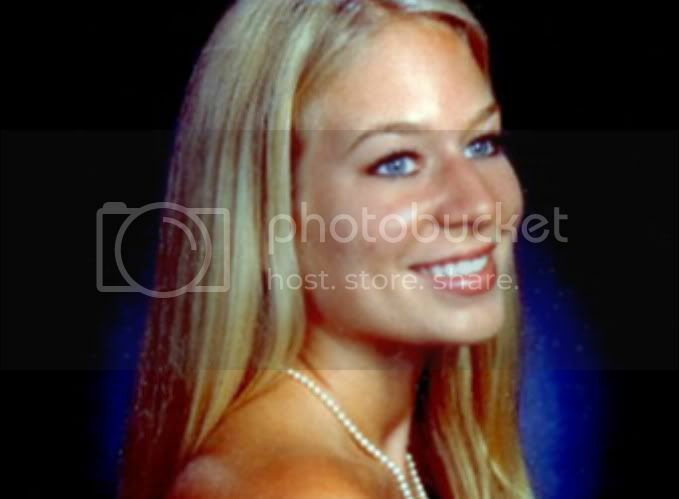 They've ruled out missing Alabama teenager Natalee Holloway. Now they're considering Amy Bradley, who disappeared 12 years ago on a Caribbean cruise. The DNA is too damaged to be useful, but investigators say the bone likely belonged to a Caucasian woman. In the absence of DNA, can you really determine race from a jawbone? Probably not. Forensic anthropologists try to infer the ancestry, gender, and age of human remains by measuring their dimensions and observing their features with the naked eye. The jawbone is one of the more useful bones in the body, as researchers have compiled a number of mandibular traits (PDF) that they think differ slightly between races. For example, if you place an Asian jawbone on a table, the bottom of it will likely maintain contact with the tabletop all the way around. African and Caucasian mandibles, in contrast, tend to undulate, or rise and fall along the lower border. The gonia—that's the area beneath your ears where the jawbone turns upward—generally curve more sharply in an Asian jaw. People of African descent often have slightly curled surfaces on the rear edges of their jaws, whereas European jaws are more likely to have a flatter edge. (Take a look at this picture.) But all of these traits are imprecise indicators. It's impossible to identify a person's ancestry definitively from a single bone. Investigators can also take bone measurements using calipers, then input the data into a University of Tennessee database containing a reference library of measurements from more than 1,800 bones of known ancestry, age, and gender. The program will determine whether the mystery bone falls within the typical ranges for various racial groups. It's pretty hard to hazard a reliable guess with one or two measurements, since the ranges overlap. But if a series of measurements for a whole skull, or an entire skeleton, tend to fall more comfortably within one range than another, the forensic anthropologist can make a determination. The practice of inferring race from bones is also somewhat controversial. While today's forensic anthropologists don't like to talk about it, the discipline has its roots in the pseudoscientific 19th-century practice of using skull measurements to prove Caucasian intellectual superiority. The methodology has improved since then. When researchers develop a hypothesis about racial variation, they conduct blind tests on hundreds or thousands of skulls of known ancestry to test its reliability. They also test their own consistency, looking at the same skulls several times in different orders to make sure they usually make the same call on its structures and shapes. There are people who think even the modern techniques are bunk. They argue that more physical variability exists between individuals of the same race than between races and point out that less than 15 percent of physical variation can be attributed to race. In addition, marriage between people of differing ancestries has become so common that forensic racial determinations can actually hinder an investigation. If someone had his mother's African jaw and his father's light skin, investigators would be sent out looking for the wrong person, since his neighbors might have considered him white. There were three ROV dive videos of the trap. Video 2: Dec 30th - ROV and Diver visual-only inspection of trap. This is the dive Dateline and Tim Miller witnessed, also the dive footage the screen captures I made came from that were posted by Robin at BNH. I sent these 6 screen shots to the FBI and the FBI only. Kyle Kingman: If I didn't believe in what I witnessed and what I found, I wouldn't have shared it with anyone, especially on the net. If I wasn't absolutely disturbed at how things turned out because of the project leads and corrupt officials I would NEVER have taken any action on my own. Page created in 4.944 seconds with 20 queries.